Although Mindtouch doesn't support actual HTML embed code it does support a media extension that can be used for embedding various media types. Take a look at the documentation on the mindtouch site for more info. 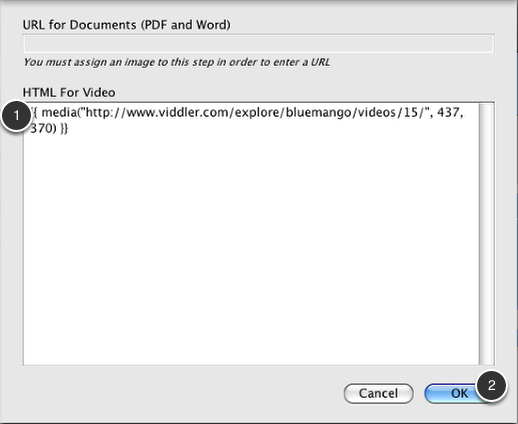 Copy the media tag code to your system clipboard. 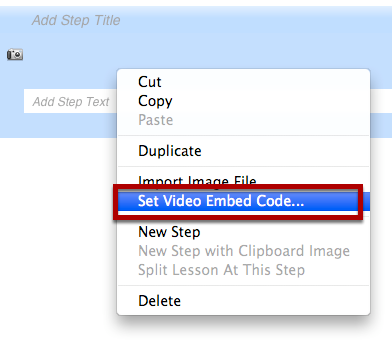 Paste in the embed code into the HTML For Video (1) field and click OK (2). 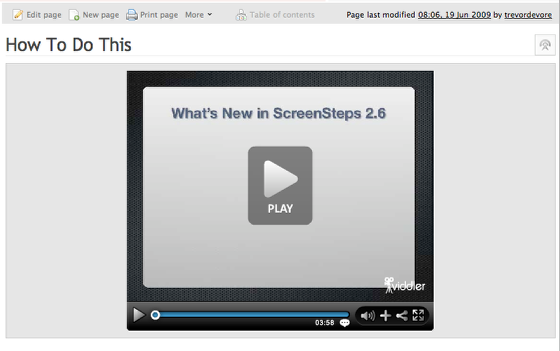 When you export your lesson to Mindtouch it will appear in place of a step image.